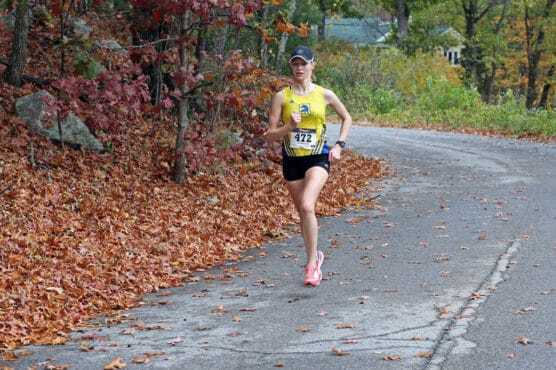 If you know your running history, then you know exactly the significance that the small town of Ashland, Mass., plays in the sport’s most legendary race. It’s here that the Boston Marathon got its start (quite literally) back in 1897, as the starting line for the race was here in what is now Marathon Park on Pleasant Street. And it’s where the race started every year until it was moved in the mid-1920s to Boston. That’s because the marathon distance — the Boston Marathon was originally a 24 1/2-mile race — was extended to 26.2 miles in the 1908 Olympic Games in London, and it’s been 26.2 ever since. Runners at this fall’s Ashland Half will follow an out-and-back course that starts and finishes in Marathon Park, and from there follow a figure-eight-shaped course along the rural country roads and through residential neighborhoods just outside this town of about 16,000 residents just outside Boston. The hilliest stretches occur around the early portion of the race, as runners are making their way toward Ashland State Park and the reservoir lake that sits along its southeastern edges. 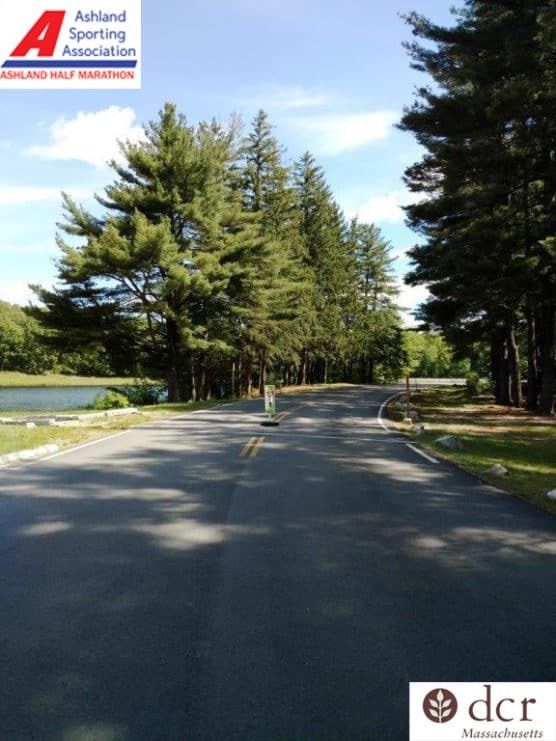 Much of the course is framed by tree-lined roads, especially the final few miles that bring runners along Hopkinton State Park and its reservoir. The last mile is almost all downhill back in to the finish line, along Whittemore Drive, near Marathon Park. The race starts on the same spot where the first Boston Marathon was run on April 20, 1897 — “the site of Metcalff’s Mill on the Sudbury River and where it all started on a line drawn in the dirt on Patriots Day, 1897,” as the race organizers note. Be sure to check out the official race website, where you can read the original press coverage of the race (won by runner J.J. McDermott) that the Boston Globe published back in 1897. The course time limit is 3 hours, and this year the race features a 5-mile race in addition to the 13.1-mile half marathon for individual runners as well as a two-person relay. Nestled in the heart of what is known as the Metrowest region of Massachusetts, about 25 miles west of downtown Boston, Ashland typically sees cool to mild weather in October, which has brought record temperatures here as low as 217deg;F (in 1970) and as high as 91°F (in 1963). On race day (Oct. 27), the average low is 37°F and the average high is 59°F. See the race route map for the Ashland Half Marathon. To reserve your spot in the 2018 running of the Ashland Half Marathon or 5K race, visit the event website below. Ever run in the Ashland Half Marathon? Share your impressions here, or post your review in the Comments below.